Item # 312275 Stash Points: 3,995 (?) This is the number of points you get in The Zumiez Stash for purchasing this item. Stash points are redeemable for exclusive rewards only available to Zumiez Stash members. To redeem your points check out the rewards catalog on thestash.zumiez.com. 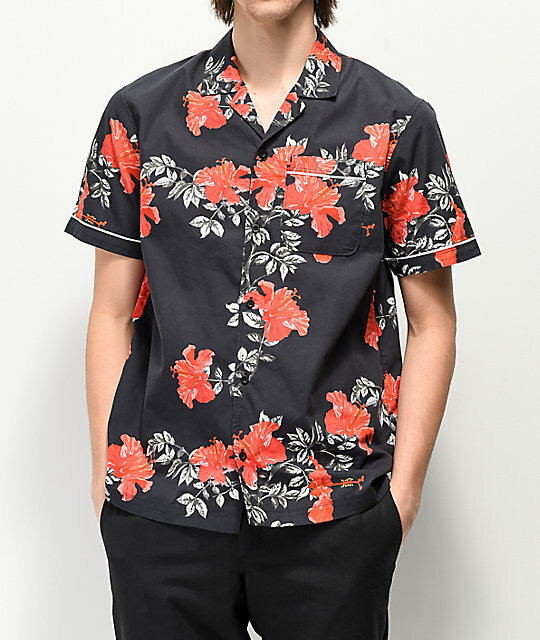 Snag a retro-inspired look in the Chase Black Short Sleeve Bowling Shirt from Empyre. 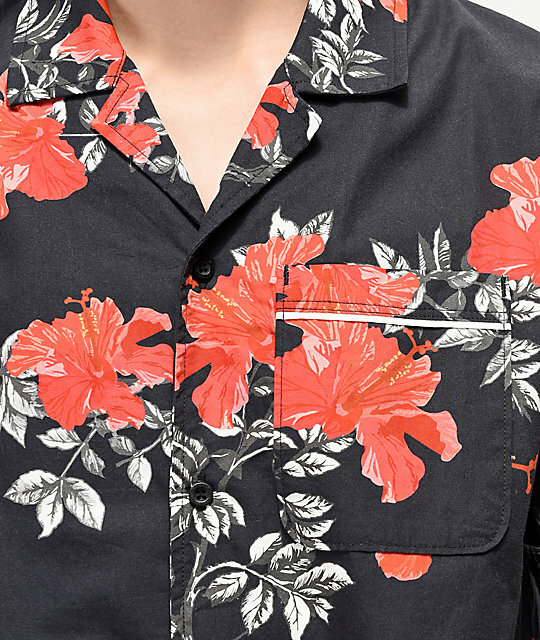 This woven button up features a classic bowling shirt silhouette, and comes in a black colorway with red hibiscus flowers through ought for tropical vibes. With a patch pocket at the left chest and white piping details throughout, this classy shirt will have you looking fly wherever you rock it. Chase Black Short Sleeve Bowling Shirt from Empyre. 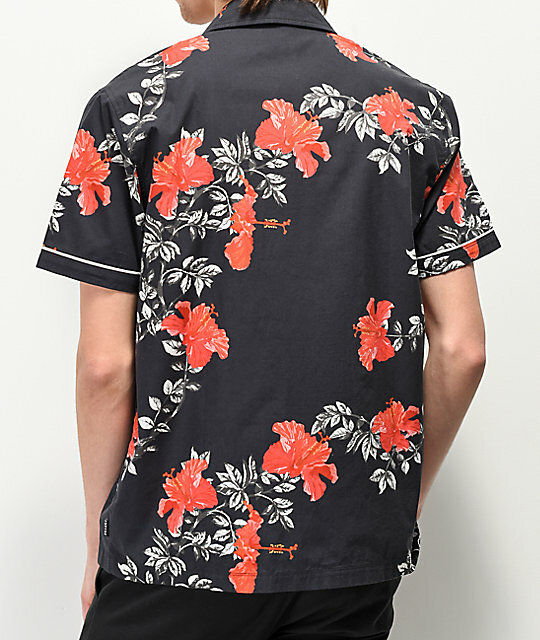 Black with red hibiscus floral pattern throughout. Left chest pocket with white piping detail. 29.5" (75 cm) from top shoulder seam to bottom hem.